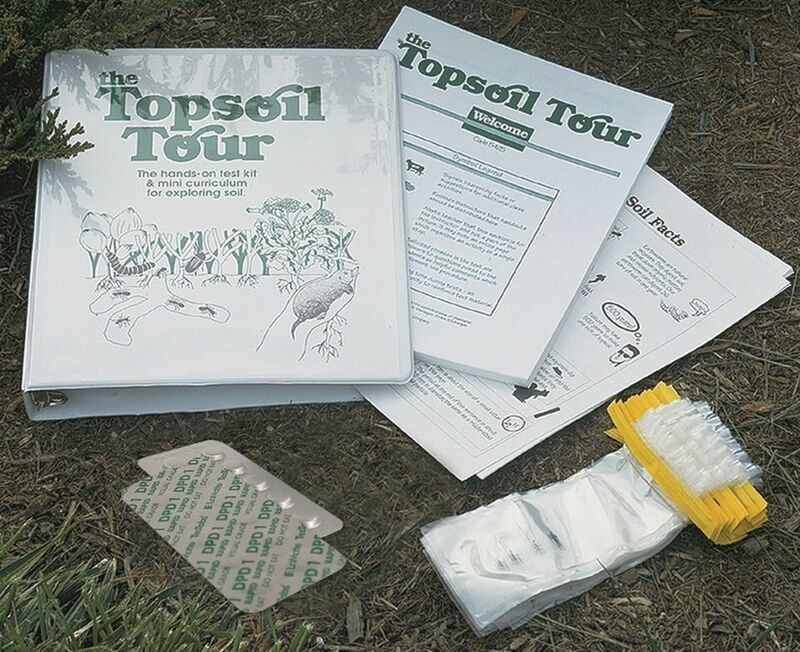 Students test soil composition and texture using simple reagent tablets in the Topsoil Tour. Students test their own soil for nitrogen, pH, phosphorus, and potassium samples. They also study the soil texture and conduct tests using individual reagent tablets sealed in foil strips. Ordering information: This kit includes enough soil sample bags, reagent tablets, test procedures, and illustrated handouts for 50 students as well as teacher tips and lecture materials.